More women are opting not to replace their breast implants, or have them replaced with smaller implants (and/or using fat) with the numbers expected to rise. Many factors go into such a decision, including age, health, and lifestyle. Known as breast augmentation revision, reverse breast implant surgery, or “explants,” breast implant removal isn’t new. Because implants last 10 to 15 years, most women will need to have their implants removed before they can be replaced. But more are opting not to have the new ones put in, and are instead opting for other procedures. Here are the three major reasons why. Reaction to the implant or surgery. Some women need their implants removed very soon after having them inserted due to health concerns. The implants may become infected or cause other issues. Calcium deposits. If calcium deposits build up in the breast, implants will often need to be removed. Breast cancer. In patients diagnosed with breast cancer, sometimes, order to remove a tumor, implants will need to be removed. Rupture. Sometimes the implants will rupture or leak, necessitating their removal. Some individuals may also seek a revision or a removal of their implants because they didn't entrust their procedure to a right doctor and encountered avoidable complications. This is why we always recommend that our patients choose a board-certified plastic surgeon with expertise in their desired procedure, and ask questions during the consultation. Sometimes having larger breasts interferes with everyday life in unexpected ways, such as discomfort while exercising. Also in this category are people who got their implants and realized they either wanted them to be bigger or smaller than what they had done and now need them replaced. Initially, getting saline or silicone implants were the only available option for people who wanted the appearance of larger breasts. Now, breast lifts and enhancements using of your own fat can provide amazing results. Some patients wish for the removal of their implants so that they can opt for one of these procedures instead. The decision to go implant-free can’t be made without understanding the associated risks and expectations. When implants are put in, scar tissue forms, called a capsule. If the implants aren’t being replaced, the capsule may also be removed. Saline implants may be deflated prior to removal. Often surgeons will use the same incision site to remove implants that were used to place them, which minimizes scarring. Typically the procedure takes about an hour and should be treated as any other surgery would be prior. This is why it's essential to entrust your procedure to a board-certified plastic surgeon like Dr. Peterson. Depending on your age and health, skin that has been stretched by implants may not tighten entirely, resulting in sagging or loose skin. This can be addressed with a breast lift; sometimes a surgeon will perform a breast lift at the same time as implant removal to immediately address this concern. Speak to your surgeon if you have concerns. The pocket where the implant was placed will seal with time, but it is important to follow post-surgery instructions exactly to prevent infection or the chance the pocket will fill with fluid. A compression garment is recommended. 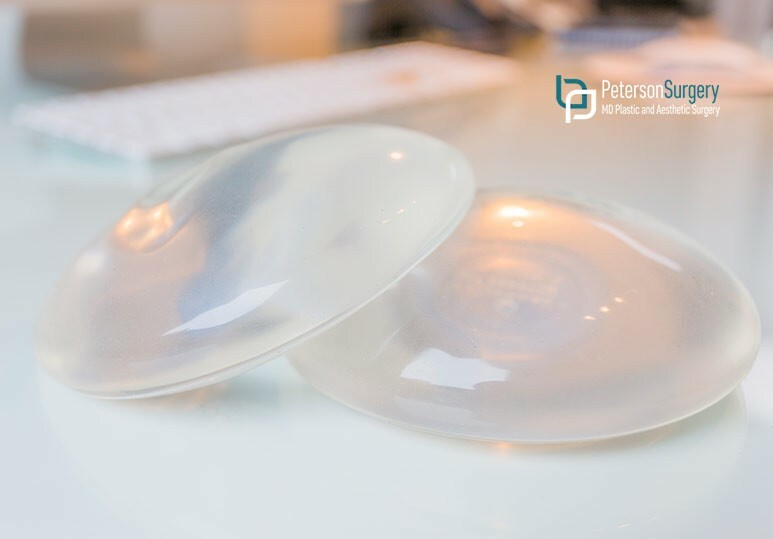 In Canada, roughly 20,000 breast implants are performed each year, making it one of the leading cosmetic surgery options, while around 4,000 “explants” are performed. If you are interested in breast augmentation (implants, reduction or revision), a breast lift, or mastopexy, please contact our informed Kelowna staff for more information, and to discuss options over the phone, call 250-868-9099.